The object known unofficially as Tabby’s Star dims every so often in a chaotic pattern—and nobody knows why. Late last year, the PlanetHunters group of citizen-scientists found a perfectly ordinary star behaving very weirdly—fading in brightness every so often, by very different amounts, in a chaotic pattern. In a skillful paper, Tabatha (“Tabby”) Boyajian at Yale pointed out the horrible dilemma posed by the star, which is tucked up under the western wing of Cygnus the Swan. So instead of calling it by its forgettable catalog name, KIC 8462852, everyone now refers to it as Tabby’s Star. 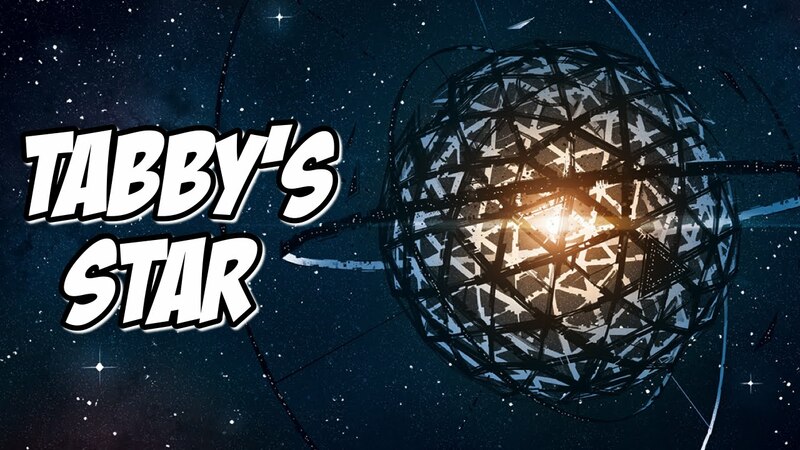 (Tabby herself tried to give the star the nickname “WTF Star,” as an acronym for “Where’s The Flux?” The more common usage of “WTF” is also appropriate.) She’s even done a TED talk about it. I first heard about Tabby’s Star when a smirking colleague came in to the lunchroom and passed around some of Tabby’s plots. All I could do was look perplexed and open-mouthed. Between the astro-professors in the room, we had incredibly wide and deep experience, and none of us had ever seen anything even vaguely like this. Tabby’s basic plot is a light curve, a measure of brightness as a function of time. Her 4-year light curve came from NASA’s Kepler spacecraft, already legendary for the accuracy and reliability of its light curves. The Kepler plot was basically flat, meaning that the star had a constant brightness, aside from a miniscule periodic modulation as typical of rotating stars that have starspots. The kicker was that Tabby’s Star shows occasional dips in the light curve, and these are unlike anything ever seen. That is, the star’s brightness faded by a bit for, typically, one day at a time. About ten times, the star faded by 0.2 percent to 8 percent. Twice the dips dimmed the star by 16 percent and 21 percent. The basic dips had a duration of 1-3 days or so, but there is structure in the light curve up to ~100 days long. The dips are not periodic. Astronomers understand big flaming balls of gases very well, and there is very high confidence that lone F3 main-sequence stars cannot have variations of more than 0.01 percent on any time scale shorter than millions of years. (Well, except for superflares, which these are not.) Further, the light curve dips are not modulated by the known stellar rotation. So the dips aren’t from the underlying star. This forces us into thinking that they could only be due to something passing across the line of sight, blocking the background starlight (the technical term is “occulting”). After all, the PlanetHunters were explicitly looking for exactly this case, where some orbiting planet occults the star as it passes in front (the term for that is “transits”). But planet transits are always very small in amplitude (less than about one percent or so) and periodic. Whatever it is that is randomly passing in front of Tabby’s Star is not a planet. The deepest dip dims the star by 21 percent, so whatever was covering up the starlight must have been covering at least 21 percent of the star’s area. This implies that the body, or cloud, or structure must have just under half the radius of the star—which makes it 70 percent the size of our Sun. Whatever it is, it might be solid (like a planet), gaseous (like a star or a gas cloud), or something like a cloud of dust. The trouble is that any such idea requires that all of these things should be emitting large amounts of infrared light. It should be bright enough to be readily seen above the normal expected infrared light from the primary star. In astro-jargon, Tabby’s Star does not have any excess of infrared light. So the remaining viable models are now down to … none. Astronomers have no reasonable idea as to how to explain the dips in Tabby’s Star. But we know the dips are real because of the extraordinary accuracy and reliability of the Kepler spacecraft. So we have a mystery. And I have thought long, and I cannot come up with any other star more mysterious than Tabby’s Star. When confronted with such an anomaly in very-well-established theory (that F3 main-sequence stars should not have such dips), the possibility arises that we are seeing the first example of some entirely new and unexpected phenomenon. And this is always exciting to astronomers. Who knows what startling wonders are being pointed at by Tabby’s Star? So how to proceed? Well, looking at the star when there isn’t a dip going on is unlikely to tell us anything more than the background information that we’ve already worked out. So the only way to advance is to catch Tabby’s Star in the middle of a dip. What I’d most like to see is a good spectrum of Tabby’s Star at mid-dip. The starlight, spread out into fine gradations of color, should tell us about the nature of whatever is producing the occultations. If the occulter is some sort of a dusty cloud, then the dimming will be greatest for blue light and least for red light, with the relative dimming across the colors being in a known and characteristic pattern. If this dust cloud has gas mixed in, then we should also see characteristic absorption lines at known colors, giving us the composition of the gas, and revealing the origin and nature of the cloud. If the light-blocker is solid, then all of the colors will dim by exactly the same amount. And we might even see some emission lines if there is some sort of stellar activity on the primary star. So all it takes is one good spectrum during a dip, and we’ll know the nature of the occulter. There is a real practical problem here, however as Tabby’s Star has been in dip for only a total of a few weeks out of the four years of observations by Kepler. The dips are chaotic in time, so we cannot predict when any upcoming dip will happen. So the only way to get a spectrum during a dip is to have nearly continuous monitoring of the star’s brightness— and, when it starts to go into a dip, send out a worldwide alert. With such an alert, some observatory somewhere will be able to get a good spectrum within a day or so. So this problem reduces to monitoring Tabby’s Star continuously, at nearly the hour-by-hour level, until it goes into another dip. That program takes a huge amount of telescope time. This is now only realistic for robotic telescopes spread out around the northern hemisphere. Fortunately, the Las Cumbres Observatory Global Telescope (LCOGT) network is perfect for the case. LCOGT has wonderful robotic telescopes at four sites in the northern hemisphere (two sites near their headquarters in Santa Barbara California, one on Haleakala in Hawaii, one on Tenerife in the Canary Islands, and one at McDonald Observatory in Texas). With this kind of coverage, Tabby’s Star can be monitored near 24/7 for most of the year. But it takes money to purchase time on LCOGT. Such a monitoring project does not fit in well with the usual program capabilities of the science support coming from NASA or the National Science Foundation. Government funding has been what has been driving the excellence in American science for many decades. But monitoring Tabby’s Star is a risky proposal, with no guaranteed return, because maybe there won’t be any dips for a long time to come. If you want to help solve the mystery of Tabby’s Star. I urge you to consider helping with the Kickstarter program. I’ve already contributed.